London was always the worst. It didn’t matter how much you budgeted for in London, it was never enough. Not even close. It was as though money flew out of your wallet every time you opened it. You’d pull a couple of hundred quid out of the teller, catch the tube a few times, have some lunch, see a few sights, go for a beer and bam … Nothing left. Doing the maths would make you quiver. I just spent $500 in a day? And did next to nothing with it? It didn’t matter how many times you’d been before, you could still never get your head around the simple fact that London was going to drain money from you like someone giving blood at the Red Cross. Only difference is, in London you wouldn’t feel a thing. Oh no, you’d think, while doing the sums, I can get away with it on the cheap this time. I’ll eat nothing but two-minute noodles and those pre-packed sandwiches from Sainsbury’s. I won’t go to shows, just catch up with a few friends and sleep on their couches. I’ll get out of the city with plenty of cash to spare. Name your number – whatever your budget was, you could guarantee it would be gone within a day or two. Disappeared. Poured down throats; chewed in hungry mouths; forked over to unscrupulous minicab drivers. Now, of course, things have changed. 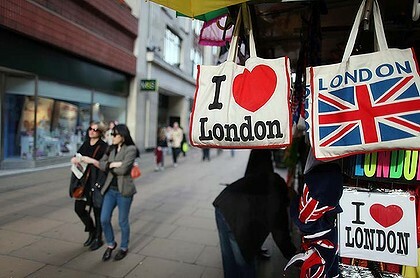 The rise in the Australian dollar’s strength means the British capital could almost be described as affordable. Budgeting suddenly becomes a realistic premise. But that still doesn’t mean it will work. You can always find a way to spend too much cash. I used to be good at sticking to travel budgets, which was probably more an indication of how tight those budgets were than how fiscally prudent I was. When you’re armed with the knowledge that you’ll be on the next plane home as soon as the cash runs out, it becomes much easier to keep it in your pocket. I’d do little plans at home before heading overseas, figure out how much meals, transport and accommodation were likely to cost, add on a little more for incidentals, throw in some money for beer and then stick to my budget like a politician in an election year. London was usually my only version of a post-landslide victory blow-out, when get-togethers with old friends would quickly get out of hand and when the general expense of existing in the city, which I’d once again failed to plan for, would jump up and gouge me. These days, however, my budgeting has become a little more, shall we say, flexible. Fluid. I usually take shorter trips, for starters, which means I’ll have to jump on that plane home soon regardless of how many crazy local trinkets I fail to talk myself out of buying. Cha-ching! Rack up another purchase. I splash out on that room that boasts its own plumbing and electricity. Cha-ching! A few more dollars I hadn’t planned on spending. But there are myriad ways to blow the budget. A simple lack of research will do it – an expectation that places will be far more affordable than they really are. I expected Brazil to be cheap. But Brazil is not cheap. In the cities, you could almost call it expensive. Same goes for Poland, which I expected to be like the Czech Republic 10 years ago. Uh uh. With a little checking I would have realised the zloty is one gutsy little currency, making travel through Poland no more affordable than anywhere else in central Europe. Once again, a budgetary explosion. And then there are the events you can’t plan for, like a coincidental run-in with a friend of mine in Buenos Aires recently. I was supposed to be there alone for a few days, so I hadn’t planned on being separated from too many pesos. Run into a friend, however, and those plans are moot – it’s a rampage around the city, pesos be damned. Rank silliness can also play a part. Just a few weeks back I was in WA’s Margaret River region on a wine-tasting tour with a couple of good friends. Things were going well – wine was being sampled … more wine was being sampled. And it was all free! Budgetary bliss. Except, it was not all free. Not when you wake up the next morning, reach into your wallet for money and instead find a shipment order from the final winery you visited. Two cartons, on their merry way. Ouch.